You and your spouse have decided to file for divorce. Your children are still in elementary school. At the moment, your main concern is making sure the kids have shelter, food, clothing and medical care. In a divorce, current financial needs are not the only issues that need to be considered. Future expenses also need to be included. One major expense to consider: college tuition. In a divorce settlement, many parents do not take college into consideration. After all, under Florida law, parents are responsible for child support only until age 18 or when the child graduates from high school, whichever happens later. What many couples do not know is that college tuition can be part of the divorce settlement if they desire. If you are divorcing with minor children, here are some things to consider when discussing a college tuition plan. Discuss college tuition with your ex-spouse and try to come up with an agreeable settlement. This can be difficult if the children are still young and college is more than a decade away. Think about how much each party can contribute and what that amount will cover. What about room and board, meals, books, computers and cellphones? Will there be a 529, bonds or other savings plan involved? Not every child goes to college for four years. Some take a gap year and study abroad. Some take much longer than four years to graduate. Some children do not even go to college at all. This is especially true of children of divorce. What will happen in these situations? Your plan may want to detail exceptions. How many years of college will you pay for? What happens to the money not spent on college? Financial aid is calculated using the income of the custodial parent. The custodial parent is the parent whom the child has been primarily living with for the past year. This is not the same as the parent who has legal custody. Getting remarried could also affect one’s financial aid. The income of a new spouse may be included in the household income and this can prevent a child from getting college funds. This is not something that can be limited by a prenuptial agreement. There are so many elements involved in a divorce. When many couples discuss financial matters, major future expenses such as college and retirement are often overlooked. However, college is getting more and more expensive, and it is not an expense that should be ignored if a couple has children. 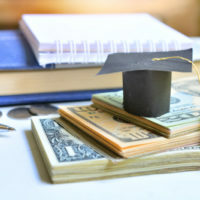 While the law does not require parents to pay for college, if you are going through a divorce, it is something you may want to discuss with your ex-spouse. This is an important part of life and both parents need to cooperate. The Dade City divorce attorneys at Mander Law Group can help make sure everything is covered so you don’t have to worry about your financial future. Call our office at (800) 557-0411 to schedule a consultation.